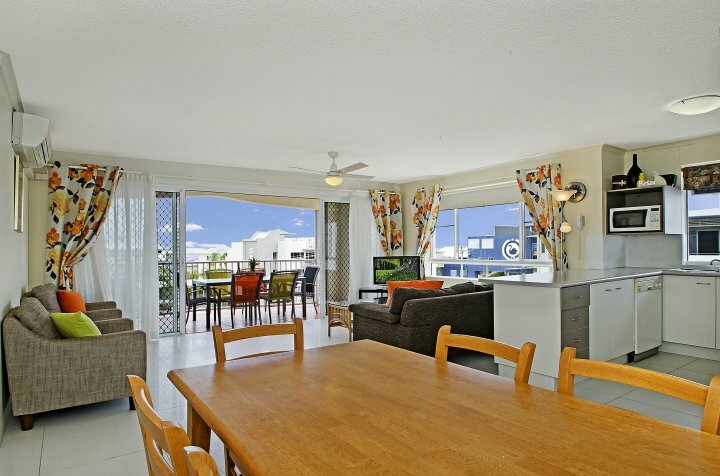 The Beach Houses - Cotton Tree holiday apartments are at Maroochydore on the Sunshine Coast and offer spacious and affordable Maroochydore holiday accommodation, just a stone's throw from Maroochydore Beach. 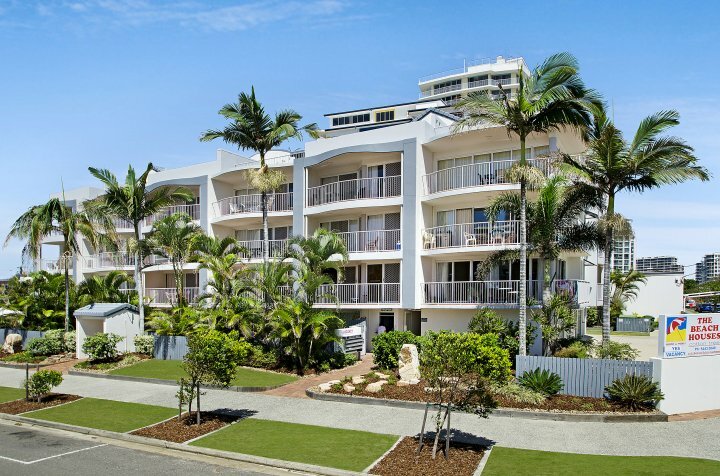 The Beach Houses offers 1, 2 & 3 bedroom north facing fully self-contained apartments, with spacious sunny balconies, and all the facilities you would expect for the perfect Sunshine Coast beachside holiday. The Beach Houses offer unlimited FREE Wi-Fi for all guests. The Beach House penthouse units offer roof access and panoramic views overlooking Maroochydore and Alexandra Headland Beach. 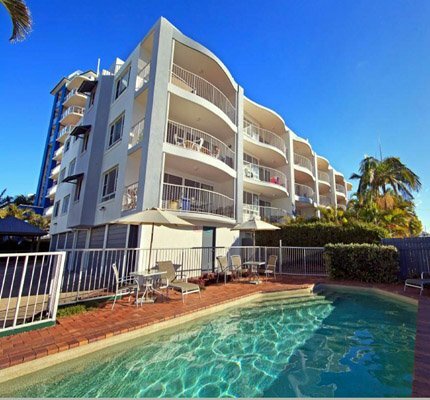 2 Bedroom 2 bathroom self contained Courtyard apartment. Sunny north facing lovely courtyard area. 2 bedroom 2 bathroom self contained apartment. Sunny north facing balcony with an additional exclusive rooftop balcony available to this apartment. Accommodation only in a 3 bedroom 2 bathroom apartment. Choice of either 1 Queen bed and 4 singles or 2 Queen beds and 2 singles. Preference in bedding is subject to availability. 3 bedroom 2 bathroom self contained apartment. Sunny north facing balcony with an additional exclusive rooftop balcony available to this apartment. Check-in time after 1400 (2pm) till 17.00 (5.00pm) Monday to Friday. After 1400 (2pm) till 16.00 (4.00pm) Saturday and by arrangement Sundays. Check in outsdie these times by arrangement only. Late check-out after 1000 - will incur a an extra charge, subject to availability(unless otherwise arranged with management). Individual lockup garages. Off street visitors car park. Cotton Tree provides a 'beachside village' feel, with it's popular eateries, casual shopping and eateries, perfect for enjoying a lazy day out, or catching up with friends. The picturesque Maroochy River is just a few steps away, providing the perfect spot for a swim for the kids, some great fishing, or a great place to hit the water for a leasurely kayak, or some great jetski fun. 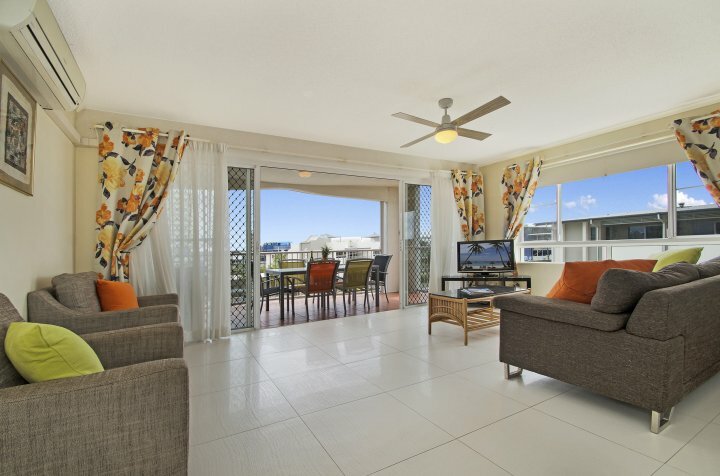 The Cotton Tree Maroochy River area is also home to many of the Sunshine Coast's fine award winning restaurants, offering breathtaking waterfront views overlooking the Maroochy River and out to the oceanfront. day trip to the Blackall range and Montville-Maleny Hinterlandshould not be missed! 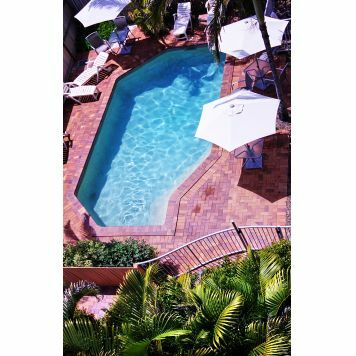 travel the picturesque Sunshine Coast hinterland, taking in the views overlooking the whole Sunshine Coast, while also enjoying the country village atmosphere of Flaxton, Montville and Maleny. Visit the many art galleries and craft stores, enjoy a mouthwatering fresh dining experience perched high on the hinterland range, or just take a relaxing walk through the lush rainforests and old Englsh village style countryside. For the sporting lovers, the Sunshine Coast has so much to offer! Enjoy a round of Golf at one of the many world-class golf courses, such as Horton Park Golf Course, just minutes away in Maroochydore, or enjoy a round at The Hyatt Coolum Golf Course, to name just a couple. The Sunshine Coast is blessed with the perfect year-round diving and snorkelling conditions, with perfect water temperatures and great visibility most of the year. Take a diving tour out to one of our popular reefs, or for the adventurous, dive the HMAS Brisbane. And finally, a trip to the Sunshine Coast is not complete without a trip to the world-famous Australia Zoo, and Mooloolaba's Underwater World!